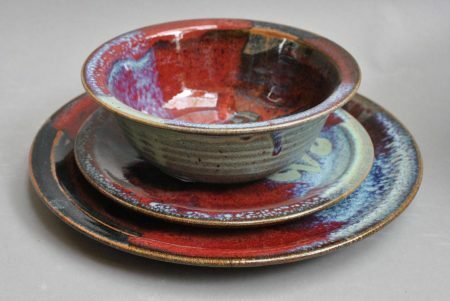 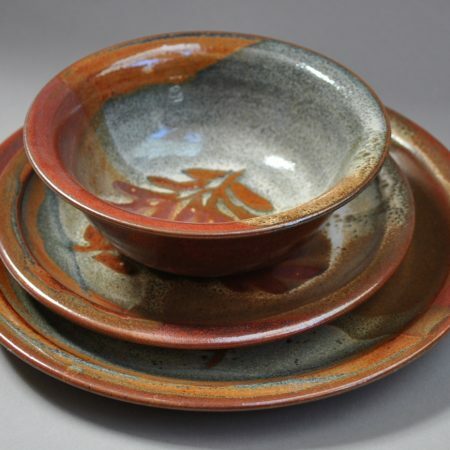 Sold as individual peices or as a place setting. 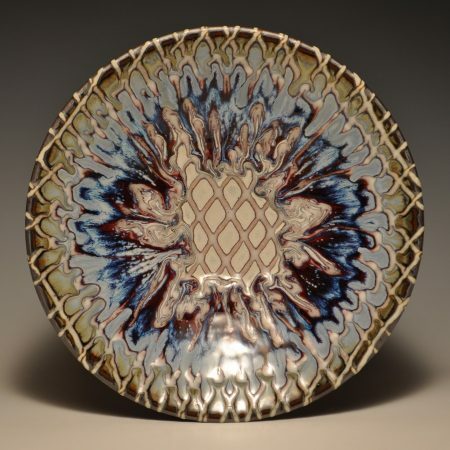 True craftsmanship is the ability to create an item for everyday use while at the same time crafting it into a beautiful and elegant work of art. 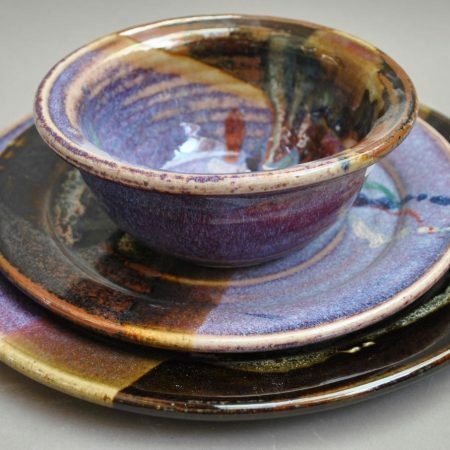 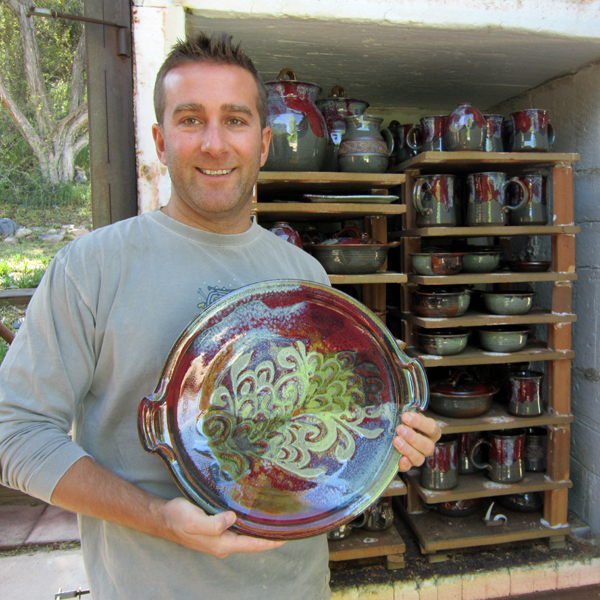 Vickie and Jack Blaisdell have exemplified that tradition for over 30 years; their goal is to create functional yet beautiful pottery. 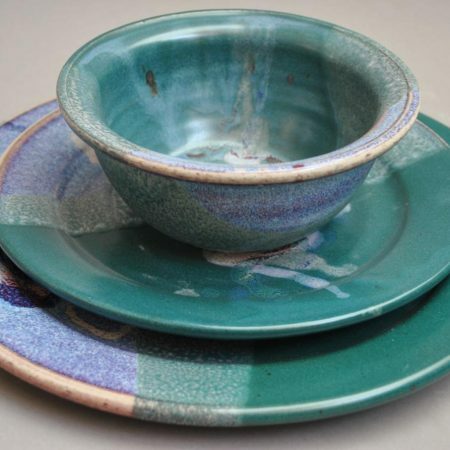 The use of intricate carving designs, graceful wax resist, and pleasing glaze colors has made every day kitchen items into elegant, beautiful ceramics. 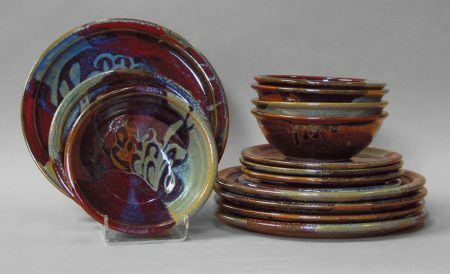 Their functional pieces include all variety of dinnerware, whisks, berry bowls, utensil holders, tea pots, and casserole dishes.